Research In Motion’s board of directors has agreed to form an independent committee to study aspects of the company’s management structure, including clarifying the roles of RIM’s controversial co-CEOs. RIM agreed to the review as part of a deal with a shareholder, Northwest & Ethical Investments, that had planned to propose splitting the role of chair and CEO and establishing an independent chair. NEI Investments announced on Thursday it had decided to withdraw its proposal, which would have been submitted for a vote at RIM’s annual general meeting on July 12, according to a RIM press release. 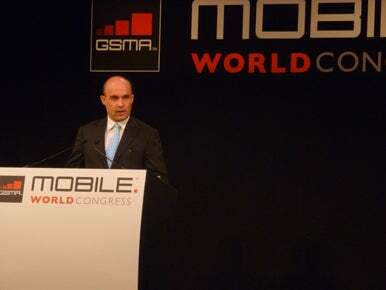 RIM is led by longtime co-CEOs Jim Balsillie and Mike Lazaridis, who also are co-chairmen of the company. Lazaridis also holds the title of president. Some observers have questioned this management structure in the wake of recent disappointing financial performance and late product introductions. Analysts on a conference call about RIM’s devastating first-quarter results asked whether the dual leadership was best for efficient decision-making, but Balsillie and Lazaridis firmly defended their roles. Under the agreement announced Thursday, RIM’s board will set up a committee of independent directors to review certain aspects of the company’s management. Among other things, the committee will study the business necessity of the co-CEOs having significant titles on the board, for purposes of making sales and working with large overseas customers. The committee will also propose a governance structure for RIM and provide a rationale for that structure, including clarifications of the co-CEO and chair roles. RIM has struggled to keep its BlackBerry devices competitive with the iPhone and numerous Android-based smartphones while also delivering new platforms, such as the PlayBook tablet and future smartphones based on the QNX operating system. On June 16, the company announced layoffs as it posted disappointing revenue and profit results for the first quarter. The company also disclosed a delay of its upcoming 4G PlayBook and gave a grim forecast for the second quarter. On Thursday, a senior RIM employee sharply criticized the company’s leaders in an anonymous open letter that was published on the technology news site BGR.